Should the definition of broadband at the FCC increase to faster speeds, so will the definition as it applies in New Hampshire. This is a welcome approach as big ISPs around the country have in recent years tried to convince state legislators to reduce the speed definition of broadband in state legislation. Many is the time well-meaning or well-funded state lawmakers decided to use the incumbent-dictated 10 Mbps / 1 Mbps or even 4 Mbps / 1 Mbps in order to appease the likes of AT&T or CenturyLink. Some states, such as New Hampshire, are realizing that such slow thresholds translate into very little investment into the type of Internet access residents and businesses need. Other states can learn from New Hampshire — raise the bar for ISPs, rather than lowering it for local communities. The bill also chooses to focus on premise, rather than census block, which is the FCC’s current method of attempting to map where broadband is offered. The FCC uses data supplied by the ISPs, which calls into question its impartiality. In rural areas, where census blocks tend to be very large, the availability of coverage is overstated. The premise approach would be more accurate, but the bill doesn’t include a method for determining how a community can prove a premise doesn’t have access to 23 Mbps / 3 Mbps connectivity. Incumbents in rural areas have been known to claim that the DSL service widely available can offer 25 Mbps / 3 Mbps speeds, which is false. New Hampshire will need to establish a method to challenge speed claims for communities that know they don't have 25 Mbps / 3 Mbps speeds. The scattered nature of New Hampshire’s broadband may create another wrinkle that the legislature will have to contend with in the future. It may be difficult for communities to connect to unserved areas without going through areas that already have broadband, as defined by the bill. Will incumbents try to block deployment that passes through areas that are already considered served if the end goal is an unserved community? In the past, bills that would have granted bonding authority for Internet infrastructure never passed. Language in past bills would have allowed local communities to bond in order to serve both “unserved” areas AND “underserved” locations. This year, the bill’s stricter limitation to unserved areas seems to have appeased the big cable and telephone companies. Language of the bill allows communities to use bonding to fund infrastructure aimed for public-private partnerships in addition to other models. Big providers, such as Consolidated Communications and Charter, aren’t usually interested in delivering services via publicly owned infrastructure, preferring to own the wires on which they provide connectivity. Preferred public-private partnerships include an arrangement in which the local government owns the infrastructure and works with a provider to bring connectivity to the public, as in the case of Westminster, Maryland, or Bozeman, Montana. It’s possible that incumbents hope to take advantage of the new law by tapping into local communities’ bonding authority as a way to fund expansion of the incumbent infrastructure. In rural communities where local leaders don’t have the expertise or desire to manage or maintain a publicly owned network, incumbents may try to convince them to bond in order to pay to bring more premises to the incumbent’s network. There’s the possibility that a town might enter into an agreement in which the town bonds to fund infrastructure deployment, owning the network while contracting with a private sector partner ISP to maintain and manage the network. The community would use the revenue they earn from the arrangement with the ISP to pay off the bond and when the bond was paid down, transfer ownership to the ISP. The town of Princeton, Massachusetts, attempted a similar arrangement, which fell apart in 2015. New Hampshire communities that choose to pursue public-private partnerships with bonding funds need to take care when choosing a collaborator. 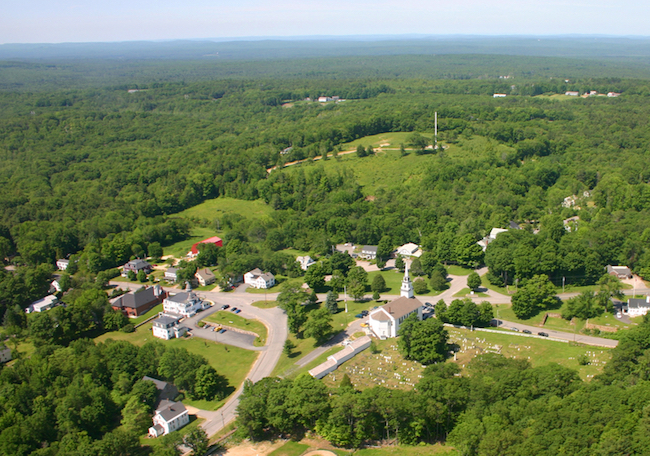 New Hampshire has taken a bold symbolic step — expanding local authority to invest in broadband networks. Kudos to New Hampshire. Other states, take note. This is the type of leadership that rural communities need to improve economic development, increase educational opportunities, and improve quality of life. Photo credit Tevonic via Good Free Photos.